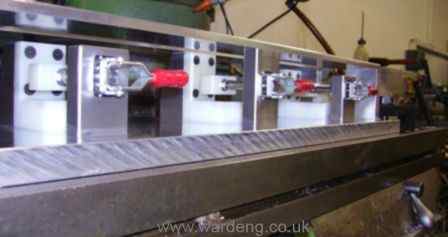 Ward Engineering can offer toolmaking facilities for jigs, fixtures, special purpose machines, simple press tools and other associated tooling. 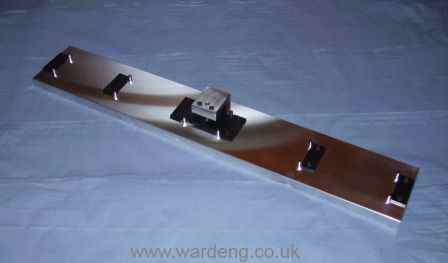 We can cater for anything from, fixturing for high precision parts, for assemblies, machining process or checking and testing through to welding jigs and fixtures. 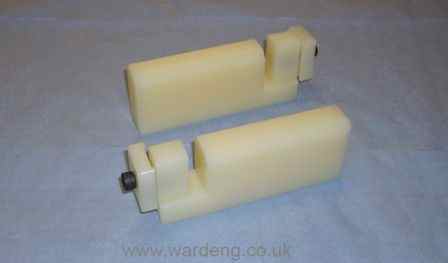 Tooling design can be carried out in-house or we can work from customers drawings or sample parts. 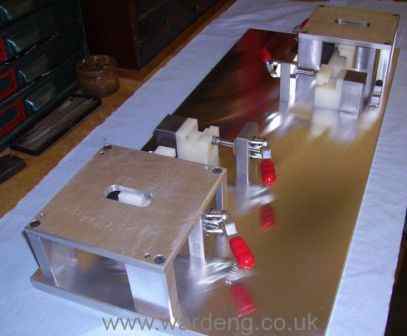 We are always eager to work in close relationship with our customers to ensure all tooling is easy and efficient to operate and meets the customers full requirements. 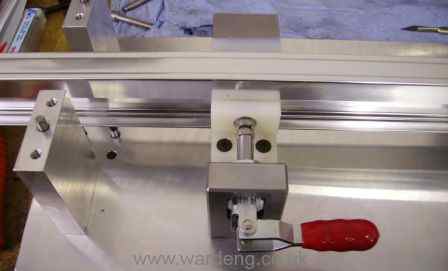 Great pride is taken with the quality of our workmanship, extra attention to detail ensures maintained accuracy and tooling longevity. 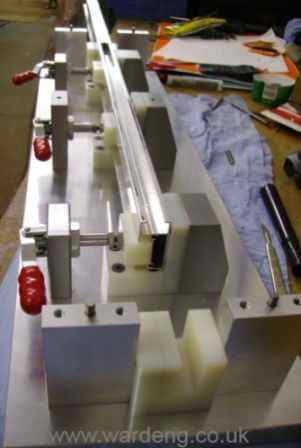 Combined twin station router jig and fixture - for machining steps in both ends of an aluminium extrusion. 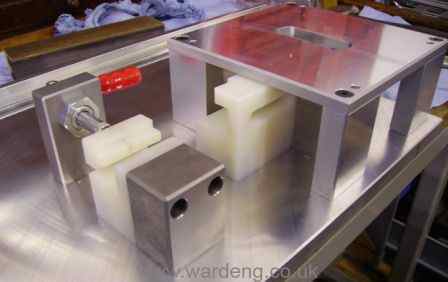 The tooling pictured has been designed by Ward Engineering for the processing of various highly finished aluminium extrusions. 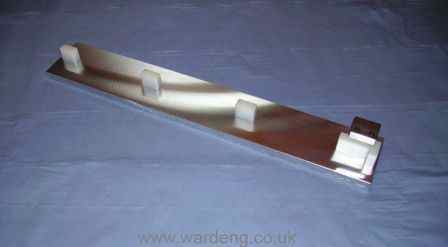 Plastic is used in all crucial areas of the tooling so no metal on metal contact can occur, preventing any damage to the component part. Please see gallery for larger images. 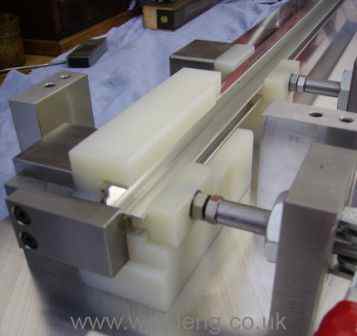 Combined long slot router jig and fixture - for machining of long slots of variable length. 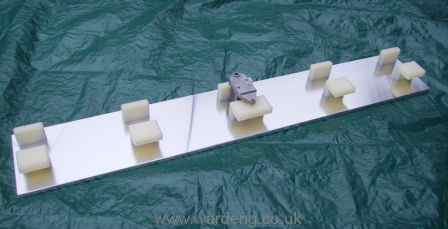 Drill jigs and nylon assembly fixture - for fast and accurate drilling of holes in set positions.